If you’re a super rugby fan, then you need to be in Sydney on the 6th and 7th February for the Festival of Rugby ‘Sydney 7’s.’ Tickets are now on sale via Ticketek for a really decent price of $30 AUD upwards but also account their junior, concession, family and bundle package prices. With 45,000 attendees at the Allianz Stadium in Sydney Moore Park, you can cheer on your favourite team from the 16 top ranked Rugby Seven countries. If you think the adrenaline, sporting morale and hype is enough, think again. The event organizers encourage you to Go Global with their fancy dress theme. According to their website, this is a ‘must.’ So mixing the party with a bit of fashion rugby action, start considering what costume you’re going to wear. Possibly as Scots in kilts, or Danish pastries, Ye Haw American cowboys or simply your favourite nation’s rugby jersey. The latter is always a sure bet but you may look boring in the crowd so think about investing in flamboyant wigs for you and your crew. If you’re interested in taking the party theme further, the South Stand (18+ over only) is where you can buy tickets for this carnival experience, with food, music and most likely, mayhem. Back to the agenda, on the 6th is the 24 Pool matches, the women’s exhibition match, on field entertainment and the main matches start at 11.00am, finishing at 9.01pm. Yes, they actually mention .01pm in their website. On Sunday the 7th, the 21 final matches take place, starting at 9.45am and ending with the Cup Presentation and Conclusion at 7.44pm. Again, the .44pm time is quite specific so you know the event will run like clockwork. Between the first match and crowning ceremony, other activities include the women’s exhibition match, more on field entertainment and assumedly, a few crowd pleaser Mexican Waves. As the teams are split across four pools, they will be drawn by World Rugby the week prior to the event on the 30th and 31st January. The teams include Australia, Fiji, South Africa, New Zealand, England, Scotland, USA, Canada, Portugal, Russia, Kenya, Wales, Scotland, France and Argentina. World Rugby will also invite an additional country from the Pacific Islands. Only a 20 minute drive from Cremorne Point, what better way to start and end this incredible sporting weekend than staying at Cremorne Point Manor! Each evening, return to our hotel, grab a beer and sit on the balcony, viewing the Harbour skyline while you readjust your wig and fancy dress costume. Our Harbour scenic views are incredible so see if your costume can raise the wow factor bar – it’ll be a tough battle so be prepared. If you can beat the odds, and our hotel team of unofficial judges like the way you look, you may receive a complimentary gift from us. So now get booking your stay with us and then fine tune your favourite team chants over the holiday season with your altos and sopranos. With less than 50 days to go before the big bang and blast off to 2016, if you’re thinking of heading to Sydney to celebrate the end of 2015, then we have the rundown for you. Sydney New Year’s Eve 2015 is always a guaranteed sure bet of a city for entertainment. We blogged about this recently but it requires a second harping. As one of the first countries to close the past 12months, the world will be watching on TV, live streaming from their smartphones and Instagramming themselves right into next year. The fireworks are the main attraction and the best place to perch your rear for prime viewing is at Cremorne Point. Famed for its stunning views of the Harbour skyline, the oohs and ahhs of the night sky displays never fail to cause a stir. You can rent a boat on the water, grab a few pals and join in a cruise or stay on dry land at the Point. The weather is always decent come end of December and with the crowds in abundance, body heat will ensure a good five degrees Fahrenheit increase. But still bring a sweater and jacket along, just in case the thrills give you the chills. Pre show entertainment starts at 6.00pm on the 31st with aerial displays. As the hour reaches the top, a tug boat will be displayed in the heart of the Harbour, presenting water displays. By 8.30pm, the Bridge converts into a huge canvas with video effects and full size images, showing a countdown clock to the main firework attraction. Within 10 minutes, a beautiful ceremony takes place to respect the Aboriginal and Torres Strait islanders, with the city releasing eucalyptus smoke over the water, to cleanse and purify the Harbour of bad spirits. As a huge lover of eucalyptus, this feature attraction is right up our alley. At 9.00pm, the family fireworks will kick off, so the little ones may gape in awe and then nod off to sleep, knowing they lasted until their eyes just couldn’t take it anymore. At this point, there will be a dual tribute to the 200th year of the Royal Botanic Gardens and 100 years of Taronga Zoo. Time flies! Fifteen minutes later, the Harbour will be illuminated with 60 ships, slowly gliding over the water with the Light Parade. All the lights will be white, adding to the purity of starting a new year. At the stroke of midnight, a 12 minute firework display is achieved through seven barges, four sails at the Opera House and additionally, from the Harbour Bridge. 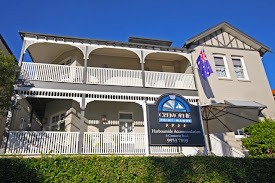 Accommodation at Cremorne Point Manor is now hitting the high notes and we’re getting full up, mainly because of our prime viewing over the Harbour. So if you’re still contemplating where to spend New Year’s Eve, you know it’s got to be in Sydney, celebrating with us at the Point. If you’re in a mild financial pickle we suggest you check our sister site, Glenferrie Lodge. It’s nearby, again has incredible views of the Harbour and is more affordable. We see your fireworks and raise it with a sparkler. Get booking and we look forward to seeing you next month! If you’re in NSW end of November, make sure you keep the 29th free for the IRONMAN Sydney competition. Situated at the base of the Blue Mountains and taking advantage of the stunning Penrith Lakes, the course will also venture towards the International Regatta Center for the swim. If this sounds exhausting from the get go, remember there’s also the bike course by mountain views and the final leg run, around the venue. This will ensure spectators have the best seats in the house, from all angles. Registration has now closed but you can always plan for next year, and start gaining sponsorship to raise funds for the charity of your choice, if you wish. Then again, if you have or know of an IRONKID aged between 7-13 years old, they can enter right up to 26th November. Entry for individuals is $35 or if panic is setting in and if they’re more likely to be on their best form at the last minute, for an extra $10, they can register on the day. The IRONKID’s course includes varied feats depending on whether kids are 7-10 years old or 11-13 years old. Back to IRONMAN and the activities. With 50 qualifying slots in the stunning Western Australia competition, this is one of the most diverse and hyped up events. Starting with a 1.9km swim lap at Penrith Lake, the bike course covers 90km commencing at the McCarthy’s Lane check point. This is followed by the run course of 21.1km around Penrith Lake, offering a stadium like atmosphere. The event starts on the 27th November at 2.30pm where you can grab some IRONMAN merchandise and watch the competitors register. The next day, the event opens at 8.00am and you can cheer on the IRONKIDs clocking in for their day of racing while scrutinizing the IRONMEN as they set up practice training. Sunday, 29th is show time, starting at an insane 4.45am booth open check in. The race starts 6.00am and the first male finisher is expected to complete by 10.00am with the first female coming in 30 minutes later. By 3.00pm, when the races are over, the presentation and award ceremony takes place.